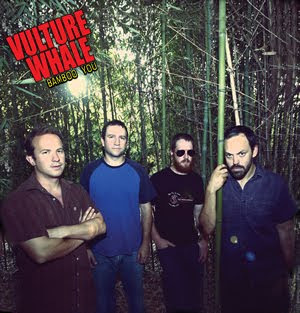 The Birmingham, Alabama quartet Vulture Whale showed a good deal of promise as well as a wry sense of humor on its 2009 self-titled CD. For the newly released six song EP, Bamboo You, lead vocalist Wes McDonald and company decided to mimic 1980 era U.K. punk bands, working class accents and all. The result is a collection of tunes that come across as thoroughly authentic, as well as fun. “The Pipe” takes a satirical look at the entertainment scene while evoking early Joe Jackson and The Clash. McDonald does a lot of sweet talking amidst the swirling guitars and drums of “Plam! 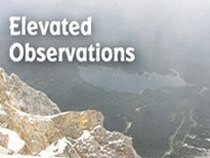 I Love You,” telling his dream girl, “Your existence improves my view of all mankind.” After several more clever compliments, he implores, “Can you say the same things to me?” On “Greatest Night,” a star-struck fan is conned into a diamond heist by the celebrity he adores, only to be dumped a short time later. Who knows how long these jokers will keep up the grubby Brit persona, but with Bamboo You, Vulture Whale pulls off a successful caper.